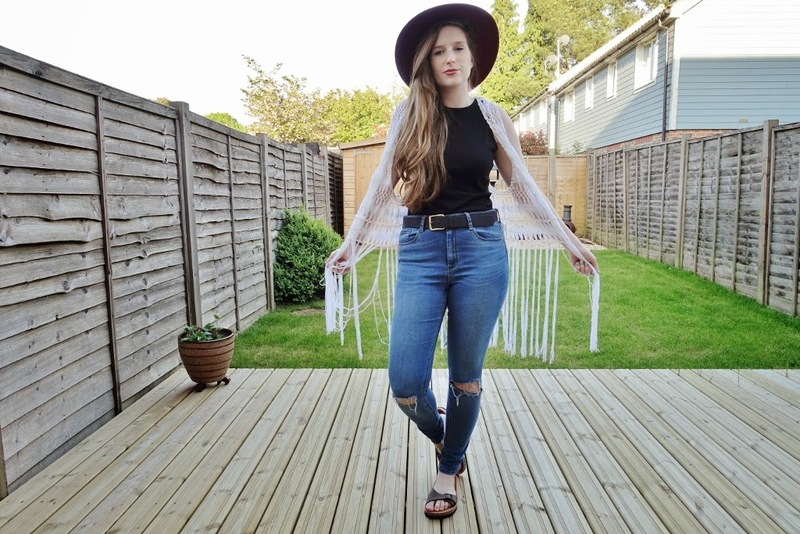 Are you fashion ready for the festival season? I've put together a little look featuring this bohemian fringe vest; perfect for the festival season. Key pieces to deck out your 'fringe wardrobe' are circulating all over the high-street and online. From fringed shorts, to fringed tops, to fringe jackets, we're spoilt for choice at the moment with what to wear for the upcoming summer of festivals. Personally, I've tamed this festival outfit down, to suit the current weather situation, which seems to be all over the place. If I was to attend a festival this week, I'd probably throw on my favourite pair of ridley ripped jeans from ASOS, paired with some open sandals and a sleeveless high neck top; that way I've got my various 'bare all' points; knees, feet and arms; to keep me cool if it suddenly does decide to heat up during the day! Alternatively, if it was hot, I'd likely be showing my knees with this a-line skirt and fringed top combo, or going full boho with this gorgeous thigh split maxi. 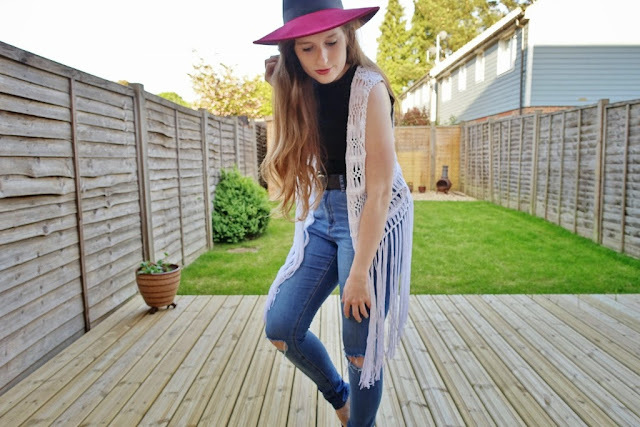 This outfit is simple, yet bold with key statement pieces; my two-tone contrast fedora, fringe vest and ripped knee jeans. Easily, not over-doing a look, but keeping modern and on-trend with my styling. 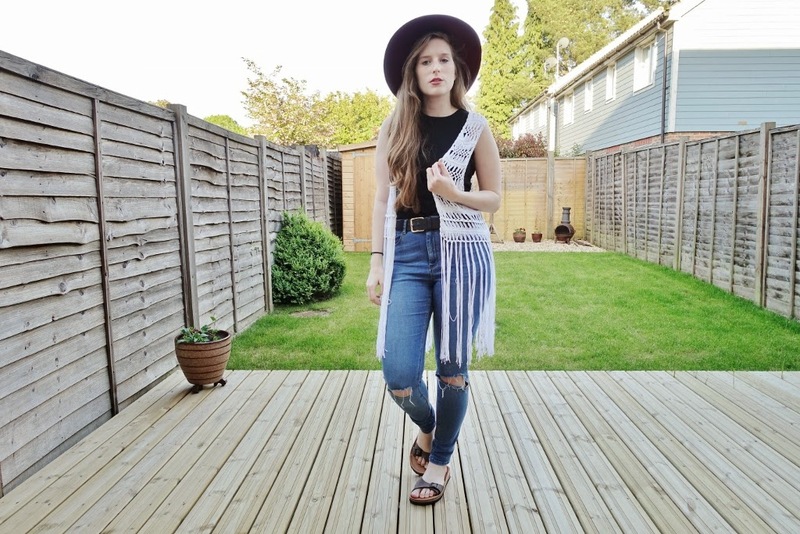 I'd love to know what you will be wearing this festival season? Love this outfit !! 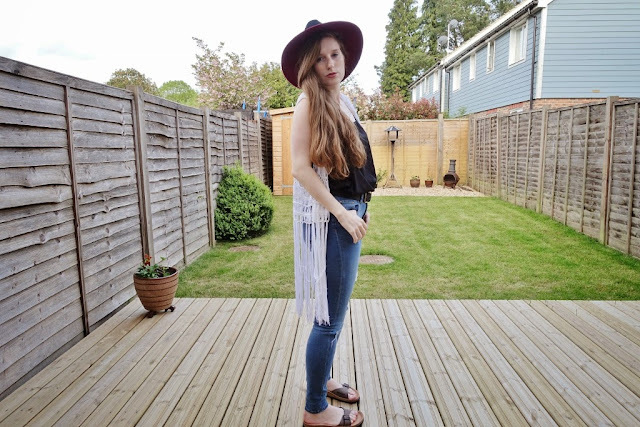 Fringe are such a big trend this summer ! !